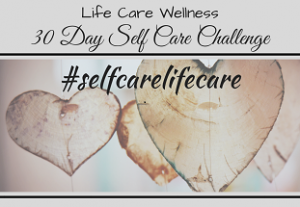 You may have noticed that this week we began a 30-Day Self-Care Challenge through our Facebook page with the hashtag #selfcarelifecare. So, what is self-care and what makes it important to life care? Webster defines self-care as care for oneself. A personal definition of self-care is care for self that cares for and enhances life. Caring and enhancing one’s life involves many areas. The wellness wheel tool highlights these areas: emotional, environmental, intellectual, occupational, physical, social, and spiritual. When one honestly assesses the quality of each area (1 to 7, with 7 being best), the connected dots give an idea of the areas of life that are cared for and areas where perhaps one could enhance care. At times life feels like a rollercoaster. At other time it feels like you’re rolling a boulder uphill. Sometimes you can feel just plain stuck. That is life with its ups and downs. Personally when I feel like I am rolling a boulder uphill or I am just plain stuck, I take a moment to complete a wellness wheel assessment. The results give me a clue as to what might be areas of my life where self-care has been lacking. Focusing a bit on balancing the wellness wheel can help me “roll” through life with a greater sense of ease. Often times, self-care is seen as something one has to do. One may even feel it is selfish or time-wasting. However, from a lens of opportunity, one could view self-care as activity one gets to do. One may find it ultimately selfless and even time-saving. If you’ve been on a commercial airplane, you’ve heard the phrase “apply your own mask before helping others.” Place self-care in the realm of this concept. Apply self-care as life care so that others can be better cared for as you better care for your own life. In “rolling” through life, find creative ways to incorporate self-care as life care. Open the door to this concept just as well as opening a door for others. Even try opening the door with smile – someone just might smile back.